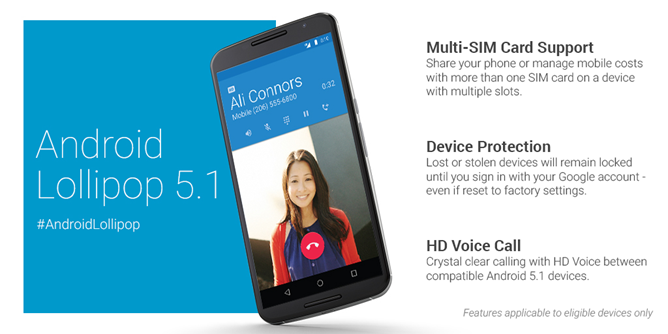 Android 5.1 is finally here, at least according to Google (they'd know, right?). 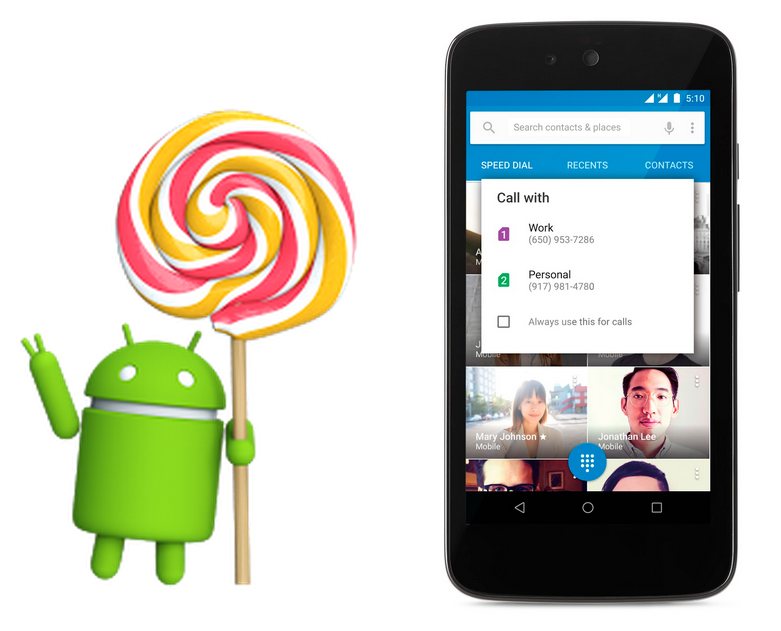 The company just posted on the official Android blog that the 5.1 Lollipop update begins rolling out today, though they didn't quite specify which devices will be getting it. Granted, if it's a Nexus or GPE phone and it already has Android 5.0, you can probably count yourself in for the 5.1 party - this release is mostly bug fixes with a few features rolled in (see our feature spotlights for 5.1 here for some of them). Among the changes Google highlights are native dual SIM support, joining Wi-Fi networks and controlling Bluetooth settings directly from the quick settings menu, and HD voice calling. Nexus 6 and Nexus 9 get a new Device Protection feature built in, which is probably in response to new laws in multiple states requiring remote "kill switches" be built into new smartphones. Devices that ship with 5.0 or earlier, it seems, will not get this feature (granted, you can still use Android Device Manager, though that doesn't survive a wipe). We're on the lookout for the update, build LMY47D, and will post as we're able to obtain ZIP files or other relevant information.